Nabarangpur-Online: Kid branded in Nabarangpur village after Jyoti Campaign. Kid branded in Nabarangpur village after Jyoti Campaign. Nabarangpur: Yet another newborn was injured by branding of his abdomen in Tentulikhunti block of Nabarangpur district on Friday. The 45-day-old boy has been admitted in Nabarangpur district hospital. 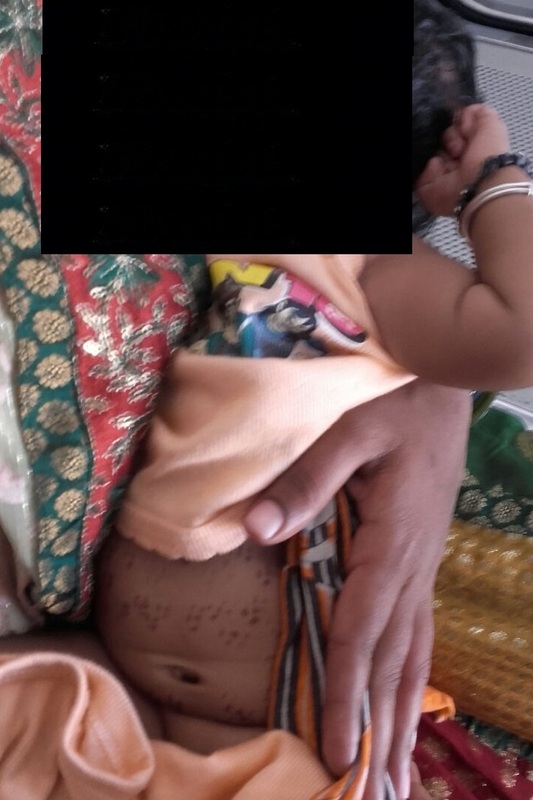 According to sources, Gitanjali Harijan and Junesh Harijan, from Khuntiaguda village of Tentulikhunti block, branded their child when the child developed some stomach and breathing problems, the parents approached a tribal traditional healer or ‘desari’, who branded his abdomen. When his condition deteriorated, he was brought to hospital. This incident has come after the Jyoti campaign initiated by the district administration where a village level awareness drive in all its 169 grampanchayats with 4,400 traditional healers, anganwadi workers, ASHA workers, Panchayatiraj functionaries and local youths were part of the awareness drive. Recently Chief Minister Naveen Patnaik awarded a cash prize of Rs. 15 Lakh to Nabarangpur Collector Rashmita Panda for district’s performance in fighting superstition.